As a group defying labels of traditional and specific musical genres, Tin Hat's devout followers include circus lovers, indie-rock hipsters, middle-aged folksters, jazz aficionados and every possible music fan in between. The Bay Area&–based group—which continues to morph through various incarnations as Tin Hat Trio, Tin Hat Quartet and have now settled simply on Tin Hat—features core violinist Carla Kihlstedt, guitarist Mark Orton, Ben Goldberg on clarinet and, recently, pianist Rob Reich and harpist Zeena Parkins. In any configuration, Tin Hat's vast experience and awe-inspiring expertise evoke a fondness that the masses adore. 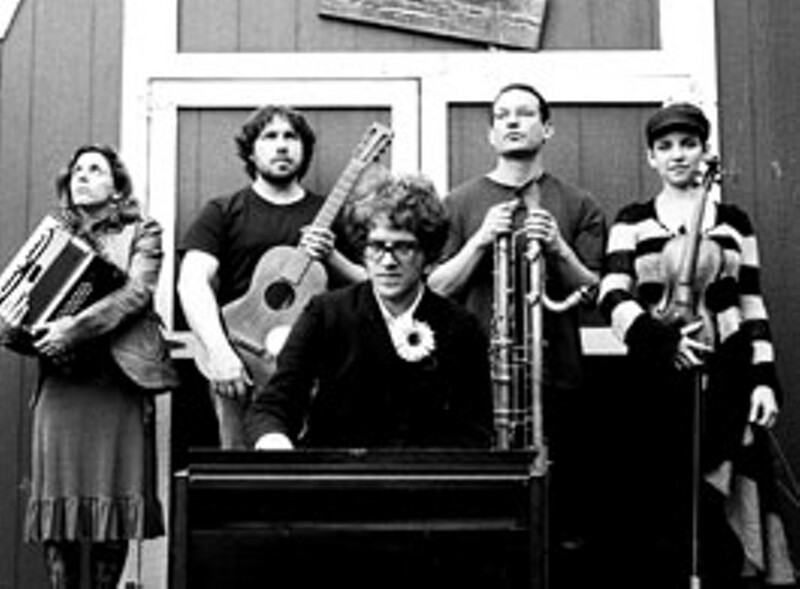 Tin Hat's members have offered their magic to dozens of projects and occasionally invited collaborations from big-name musicians on their own, such as Tom Waits' sultry and haunting "Helium Reprise" from 2000's Helium and Willie Nelson's swooning "Willow Weep for Me" on 2002's Rodeo Eroded. Branching out, Kihlstedt has recently created a wild performance piece influenced by Jorge Luis Borges' Book of Imaginary Beings and collaborated with husband Matthias Bossi to weave field recordings from Europe with percussion and string instruments. Orton has composed for film and radio, most notably on the 2005 film Everything Is Illuminated, and Goldberg continues to lead his own quintet while working on a project dedicated to the music of late jazz musician Steve Lacy. Tin Hat's latest album, the live Foreign Legion, which includes Ara Anderson on trumpet, piano and organ and Bossi on percussion, is a testament to the flawless manner in which the group continues to perform. A compilation of performances from Berkeley, Calif., and Mallorca, Spain, Foreign Legion offers a more raw, authentic and varietal sound on old favorites like Book of Silk's "Hotel Aurora" and Memory Is an Elephant's "Foreign Legion." Drawing together a shared passion for challenging and transcending traditional chamber music, Tin Hat effortlessly ignite a sense of nostalgic longing. They caress the heart strings at 8pm on Thursday, July 8, at 142 Throckmorton Theatre (142 Throckmorton Ave., Mill Valley; 8pm; $20&–$23; 415.383.9600) and on Saturday, July 10 at the Dance Palace (503 B St., Point Reyes Station; 8pm; $20; 415.663.1075).